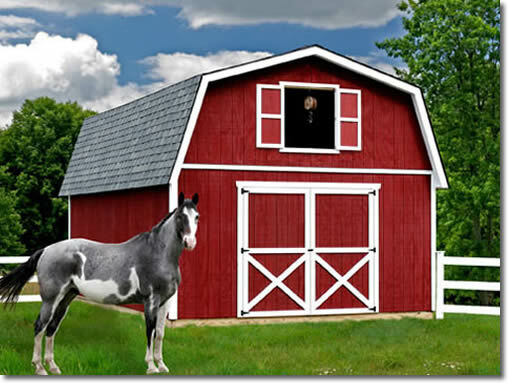 This Roanoke Best Barn Shed is one of the largest kit model sheds available. With a large 16' Wide front, it has the room to fit large barn doors for driving a car or even a small tractor through. 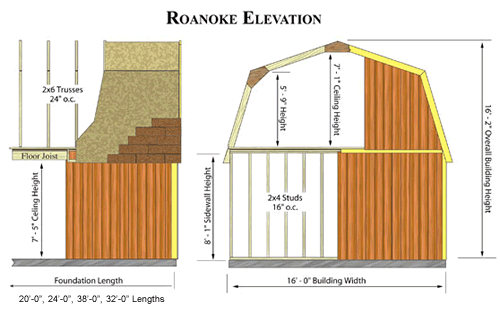 The Roanoke Best Barn shed has a 7' loft (at the peak), providing you with 2 floors to use for optimal storage or even living space. 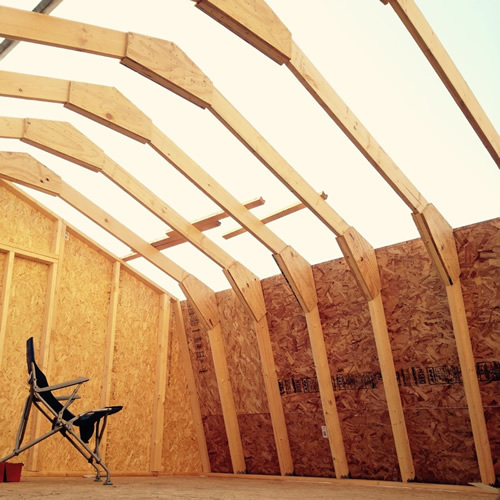 This shed is large enough to work as a, barn, temporary home, or extra storage space. 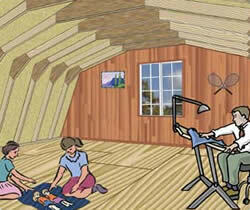 Buy your Best Barn Shed today with our optimal pricing. This is not a pole building, it is built like your house with wall studs 16" on center. 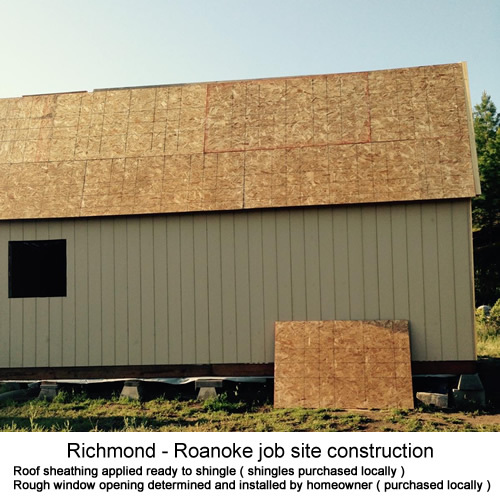 The Roanoke can easily be used as a barn, workshop or utilize the building for storage. 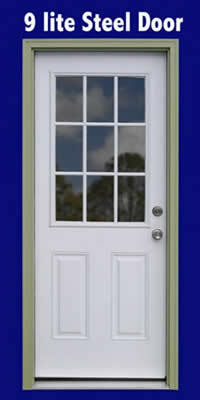 We recommend that you contact a local professional when making any major modifications. 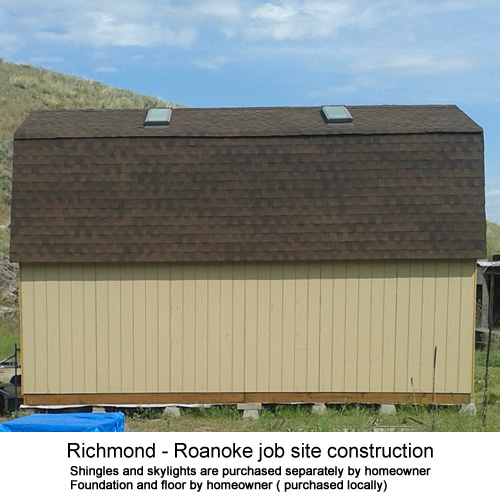 This 16' wide Roanoke provides two floors of open storage or living space. A high side wall on lower level provides plenty of storage space, and the clear span full loft provides extra bonus room above. Customize it to your needs. 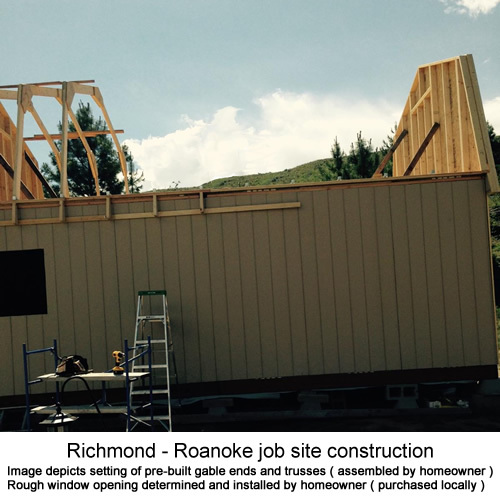 When you are assemble the Roanoke, you have the ability to choose the number of windows, type and quantity of doors, and more. This allows you to place them in the locations of your choosing. 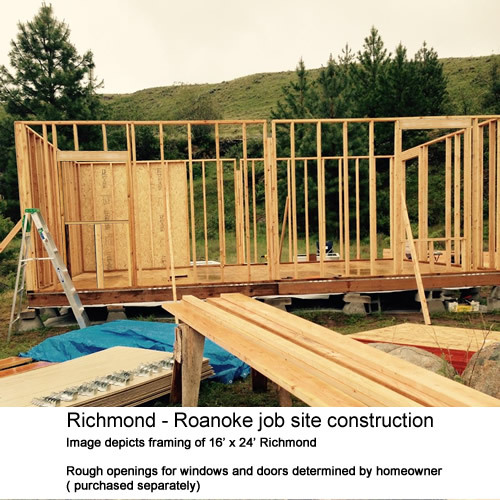 Our Roanoke barn offers plenty of square foot space, large enough for a small home. 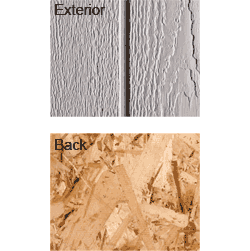 Choose the best size for your needs, whether it be the16x20, 16x24,16x28, or the16x32. 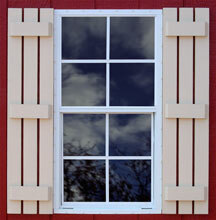 Best Barns is sold in home centers in the US and Japan, and has been producing quality building kits for 30 years. Best Barns provides optimal savings by working with a local home center nearest you providing material to finish your new storage shed with professional results. 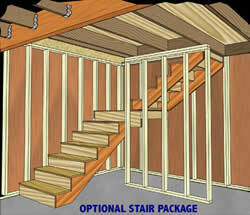 * building is shown with optional windows and walk-in door, which can be purchased with the shed. Q: How long does it usually take to build? 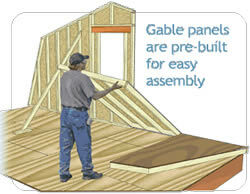 A: Assembly can take several days or several hours-depending on the preferences of the customer. If you have an existing concrete slab, then assembly is a lot quicker. If you need to build a wooden base, then you would want to factor that into your assembly time. Most customers can knock this out over a weekend. 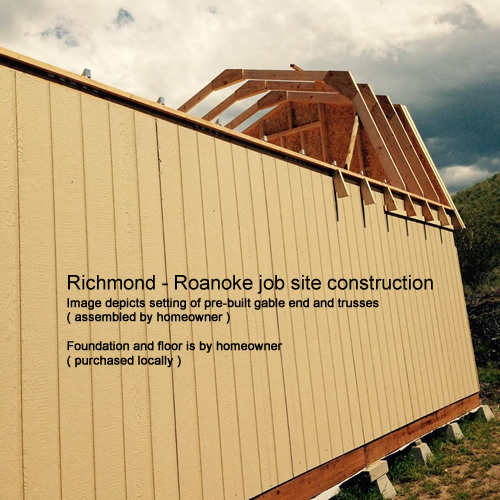 Fast Shipping: Orders for the Best Barn Kits Roanoke1632 generally leave the warehouse within 3-7 business days. Delivery Details: This product ships directly from the warehouse in Pennsylvania. This item generally ships via a curbside delivery through an LTL carrier (too big for UPS and FedEx). The customer must be present to sign for the order. The freight carrier is instructed to contact you prior to delivery to set up a delivery appointment.